Louise Eksteen has worked on numerous production-based projects since her early teens. These endeavours include work alongside the electronic group Strange, dance-label Afroboogie, producer Simon Fine and AKA Lightsleeper (with whom she made her live debut at the Flux festival in 2003). She was also involved with Dark Templar, an electro-Goth band and Merchandize, an acid-jazz group. Louise performed numerous gigs in Pretoria and Johannesburg with the two aforementioned bands in 2003/4. In 2005 and early 2006 she performed all over London with Liquor Store, an Electronic rock duo and was released on a UK compilation. Previously the vocalist and part producer for Devil’s Cartel, she finished recording the final tracks in the UK for their debut album Disengage, which was released in 2006. Devil’s Cartel charted on all the local student radio stations and is still gathering a growing underground fanbase. DC also signed a single “Blow it up” with Voodoo Vinyl Recordings in London. In 2007 Louise worked with the Sick-Leaves which reached number 11 on the SA top 40. The band was featured on MK89 and Go Rock. Currently she’s the mastermind behind Bride Reunion, an electro act, which was featured on Ka Da! on SABC 2. Louise is currently involved in composing a sound track for Leza McLeod’s short film, “Apology”, which will be released in May 2008, along with a photo exhibition and a performance by Bride Reunion. 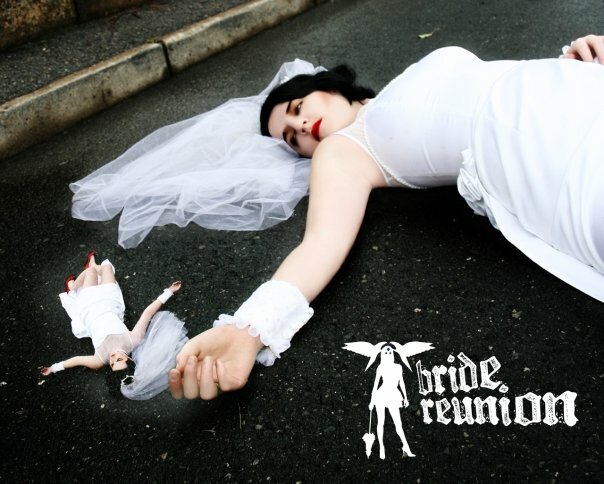 Bride Reunion has an album due for release in 2008. Check out the Downloads section for some free mp3s!